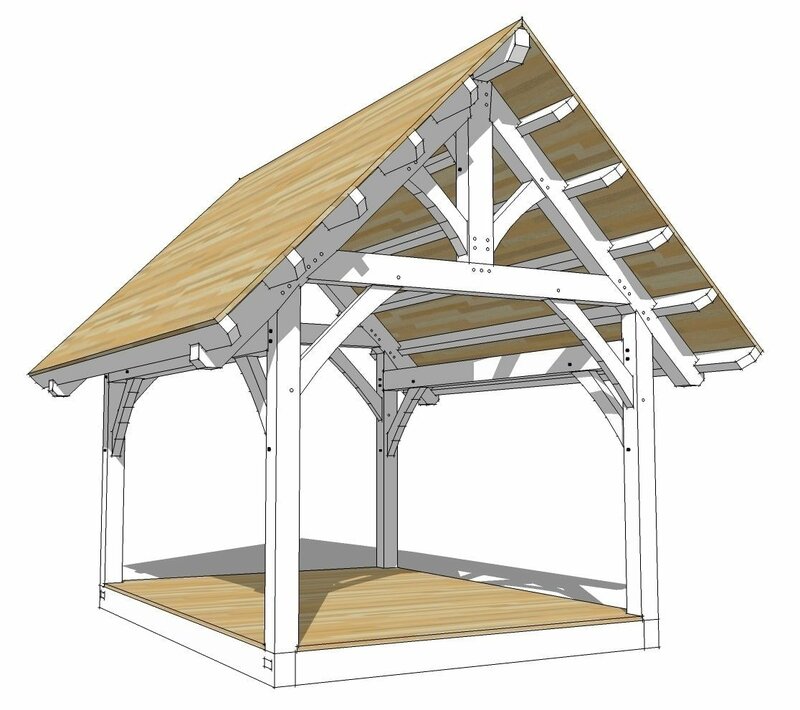 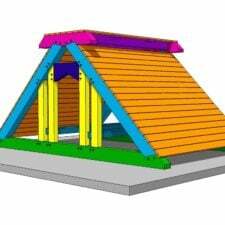 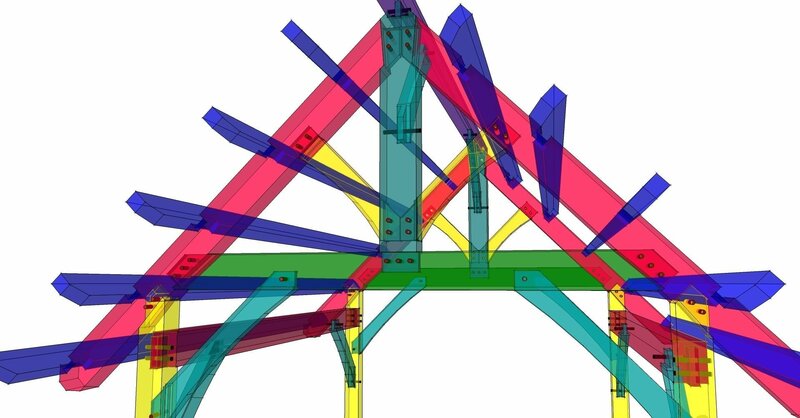 This 12×16 king post truss plan is perfect for a small shed, pergola or tiny cabin and would be a great first time project for someone. 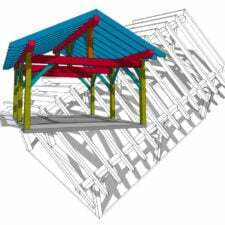 The timber frame measures 12’ wide and 16′ deep from outside of post to outside of post with a 24″ overhang. 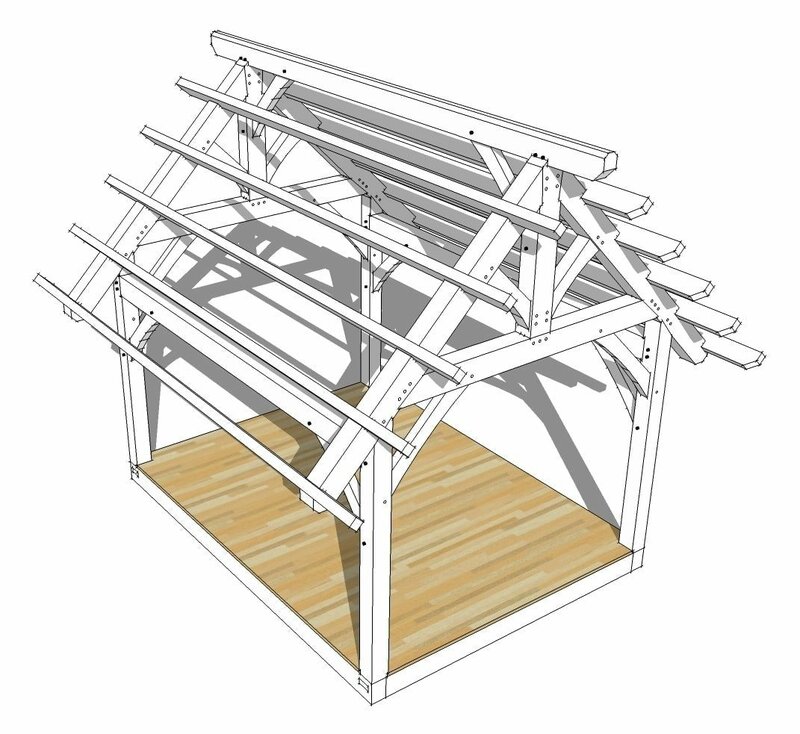 We have included an optional timbered floor system if that fits your needs… Need a loft? 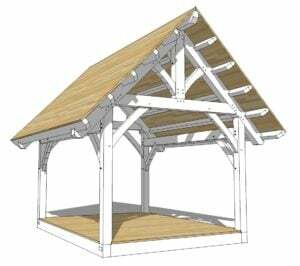 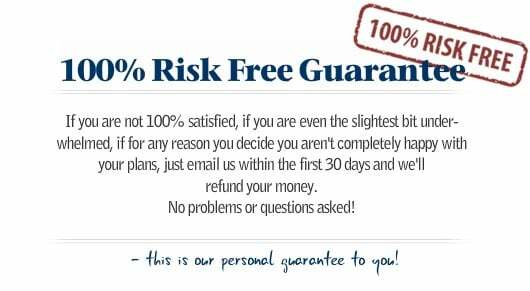 Just extend the post length and add some joists. 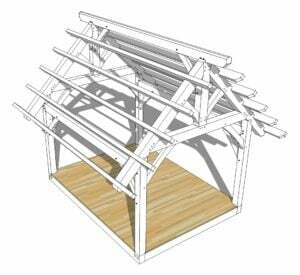 One of the nice things about this style of frame is that you can easily shorten the purlins to create a custom length, meaning that you can make it 12×12 without too much head scratching. 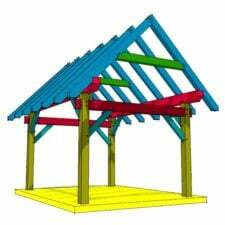 The frame is cut with 8x timbers and can be finished out to provide a strong durable building that will be fun to cut and raise.